Big crowd and loads of laughs build support for local perinatal program. HOOD RIVER, Ore., May 9, 2016 — On Thursday, April 28, lots of local mamas and many others gathered at Springhouse Cellar Winery in Hood River for a live performance of “The Mama-logues: A Comedy About Motherhood.” The traveling show traditionally benefits a not-for-profit that empowers healthy families and childbirth. For this performance, the proceeds went to One Community Health’s (OCH) perinatal program, a decision that was spearheaded by Rita Pinchot of White Salmon, who has been acting in the show for three years and helped bring it to the Columbia River Gorge. She selected OCH after learning about its successful perinatal program and commitment to helping all members of the community, including low-income patients. According to Pinchot, the performance raised approximately $2,300 for OCH, which is celebrating its 30th Anniversary this year. The show’s producer, Laurie Levy, said she and the cast, most of whom came from Seattle and all on their own dime, were thrilled with the turnout and about supporting an organization that aligned with the show’s mission. The audience was filled mostly with moms, but a few fellas came, too. Loads of laughter consistently erupted with two acts packed with funny stories, skits and songs. However, a few tears surfaced, too, such as during more serious scenes, highlighting topics like cancer, autism and adoption. The show’s material, which is based on well known mom-tastic blogs, books and articles, exposed a lot of raw yet wonderful truths about families, moms and motherhood, keeping everyone highly entertained and wanting more. Should the show return to the area, everyone will be in luck, considering each year, the material is rewritten for relevant, timely content, keeping it always new and fresh. 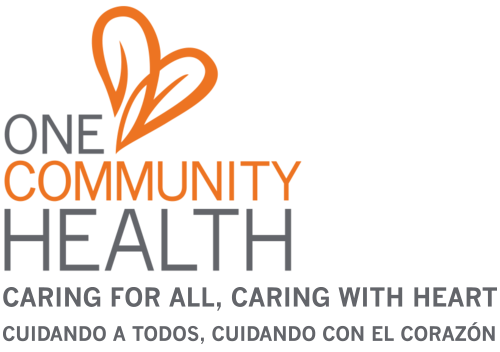 One Community Health would like to thank all who volunteered before and after the show. In addition, a round of applause goes out to Rita Pinchot for leading the effort to bring the show to her area. One Community Health is also grateful to Hood River’s Springhouse Cellar for donating its space for free. Finally, three cheers to the Mama-logues’ director, Deborah King, producer/actor, Laurie Levy, and the rest of the cast: Brenda Blasingame, Tascha Madaffari, Darcey Pickard, Rita Pinchot, Shelby Skiena, Gabrielle Soloma de Cadavid and Jessica Tabakin.